When the cold weather starts to set in, all I crave it delicious, hot, comfort food. 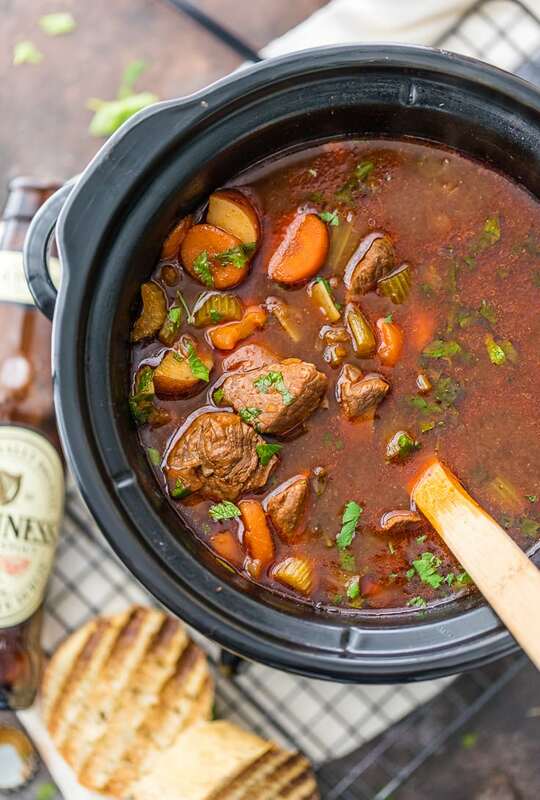 What better comfort food than a hearty slow cooker Guiness beef stew?! I am forever on the lookout for delicious stew recipes – they provide the same warm, delicious comfort as soup but they’re heartier and more filling. When I stumbled across thecookierookie.com’s recipe for a Slow Cookier Guinness Beef Stew, my mouth started to water and my stomach growled. I ran out and grabbed all the necessary ingredients and enjoyed the delicious stew that night. Got it? Great! To get started, get out that slow cooker and then head on over to thecookierookie.com for the full recipe!